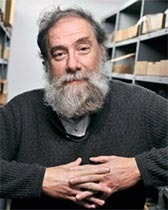 Professor Scotese retired from teaching at the University of Texas, Arlington, Department of Earth and Environmental Sciences in 2013. He is now a Research Associate at the Field Museum of Natural History and an Adjunct Professor in the Department of Earth and Environmental Sciences, Northwestern University. He continues to collaborate with several research groups on topics concerning the history of the Earth System, but his main focus is a book entitled: “Earth History, the Evolution of the Earth System”. He is the coauthor of more than 100 scientific publications, and his maps and animations have been used in numerous geological textbooks, scientific research papers, and are on display in museums worldwide. Additional information can be found at the PALEOMAP website, the Global Geology website, Professor Scotese's YouTube channel, or his ResearchGate webpage. Cao, W., Williams, S., Flament, N., Zahirovic, S., Scotese, C.R., and Müller, R.D., 2018. Paleolatitudinal distribution of lithologic indicators of climate in a paleogeographic framework, Geological Magazine (in press). Chatterjee, S., Scotese, C.R., Bajpai, S., 2017. The Restless Indian Plate and Its Epic Voyage from Gondwana to Asia: Its Tectonic, Paleoclimate, and Paleobiogeographic Evolution, Geological Society of America, Special Paper 529, 147 pp. Lehtonen, S., Silvestro, D., Karger, D.N., Scotese, C.R., Tuomisto, H., Kessler, M., Pena, C., Wahlberg, N., and Antonelli, A., 2017. Environmentally driven extinction and opportunistic origination explain fern diversification patterns, Nature Scientific Reports, p. 1-12, 7:4831, DOI: 10.1038/s41598-017-05263-7. Mills, B.J.W., Scotese, C.R., Walding, N.G., Shields, G., and Lenton, T.M., 2017. Elevated CO2 degassing rates prevented the return of Snowball Earth during the Phanerozoic, Nature Communications, 8:1110, p. 1-7, DOI: 10.1038/s41467-017-01456-w.
Upchurch, G.R., Kiehl, J., Shields, C., Scherer, J., and Scotese, C.R., 2015. Latitudinal temperature gradients and high-latitude temperatures during the latest Cretaceous: Congruence of geologic data and climate models, Geology, v. 43, p.683-686. Osen, A., Winguth, A., Winguth, C., and C.R. Scotese, 2013. Sensitivity of Late Permian climate to bathymetric features and implications for the mass extinction, Global and Planetary Change, 105:171-179. Chatterjee, S., Goswami, A., and C.R. Scotese, 2013. The longest voyage: Tectonic, magmatic, and paleoclimatic evolution of the Indian plate during its northward flight from Gondwana to Asia, Gondwana Research, 23: 238-267. Boucot, A.J., Chen Xu, and Scotese, C.R, 2013. Phanerozoic Paleoclimate: An Atlas of Lithologic Indicators of Climate, SEPM Concepts in Sedimentology and Paleontology, (Printed Map Folio), No. 11, 478 pp., ISBN 978-1-56576-282-4, October 2013, Society for Sedimentary Geology, Tulsa, OK.